London, United Kingdom and Boston, USA October 28, 2015 – iTrinegy, the leading provider of networked application risk management solutions, today launched INE Flex Enterprise, based on the award-winning INE Enterprise hardware appliances. Using INE Flex Enterprise enables organizations to create full multi-point networks (meshed, star-coupled, multi-hop, radio, and mobile style networks) in their virtual environment for the first time. With organizations increasingly having their development and test environments fully virtualized, the issue has arisen of how to create a realistic network testing platform within those environments. The fact that conventional hardware-based network emulators cannot be introduced into virtual environments has, until now, led many organizations to rule such testing “out of scope”. As a result, it has often been left to the pre-deployment or customer beta phases to discover there is a problem with an application, presenting a huge risk to the company developing and testing it. Discovering and remedying issues this late in the application development lifecycle has typically resulted in costs tens or, in extreme cases, hundreds of times greater than if they had been captured and dealt with in the early prototyping and development stages. Building on the success of iTrinegy’s initial virtual solution, NE-ONE Flex emulator, which enables you to create point-to-point networks in the virtual build and test world, INE Flex Enterprise takes this a stage further by allowing multiple developers and testers within the organization to simultaneously create and run their own separate test networks. Certified as VMware-Ready, INE Flex Enterprise broadens the accessibility and applicability of virtual test networks within the organization. 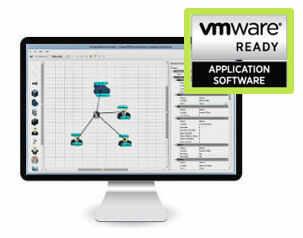 It moves the ability to validate application performance from the dedicated test lab into the mainstream IT environment. Now multiple users can have permanent access to a powerful virtual test network at a time that suits them.